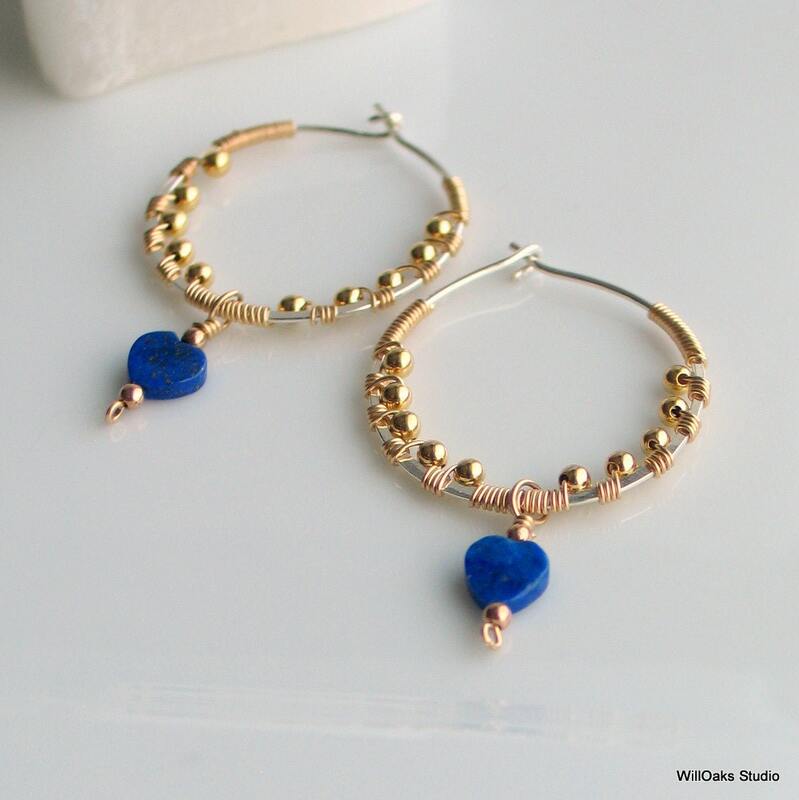 Gold and silver hand made hoop earrings feature a bright blue heart dangle cut from natural lapis lazuli stone. 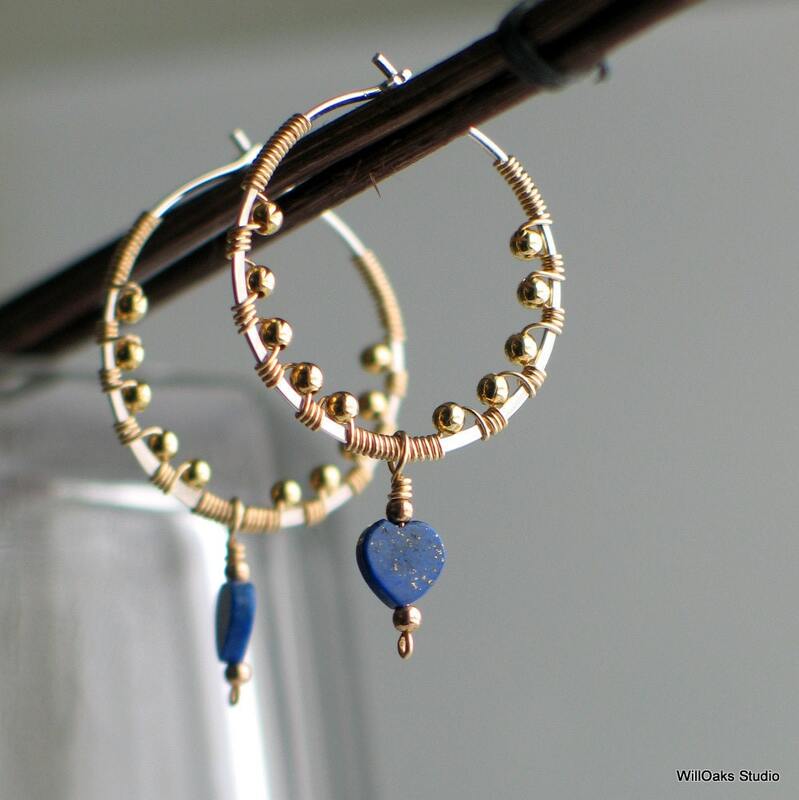 About 1" forged silver hoops are wire wrapped with gold filled wire to capture tiny 2 mm gold plated beads creating a rich texture of silver and gold. 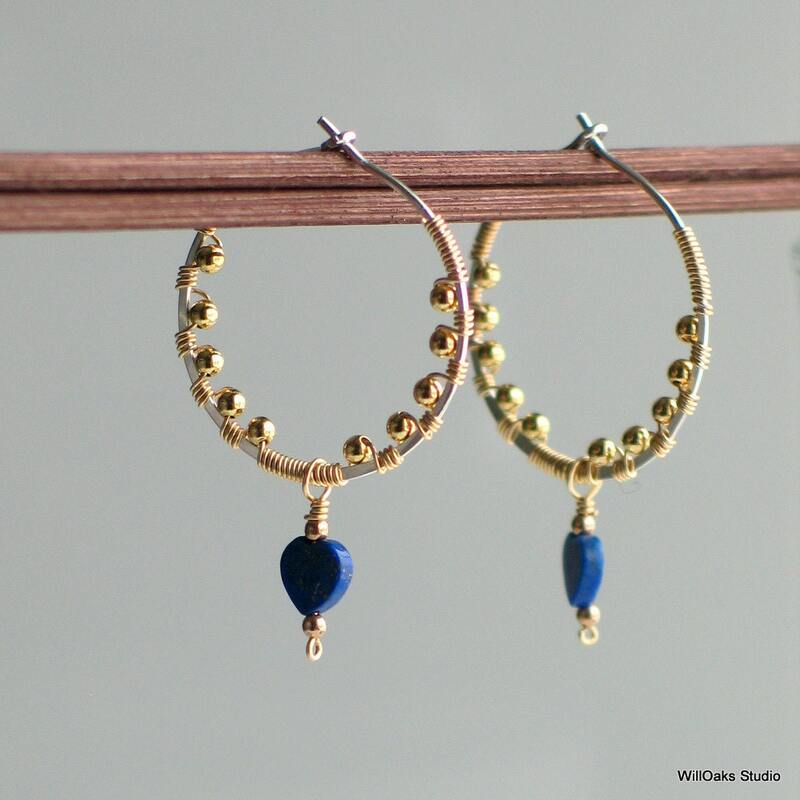 A bright, dainty blue stone heart dangles freely from the bottom, for a total length of about 1 1/2" when measured from the top of the hoop. 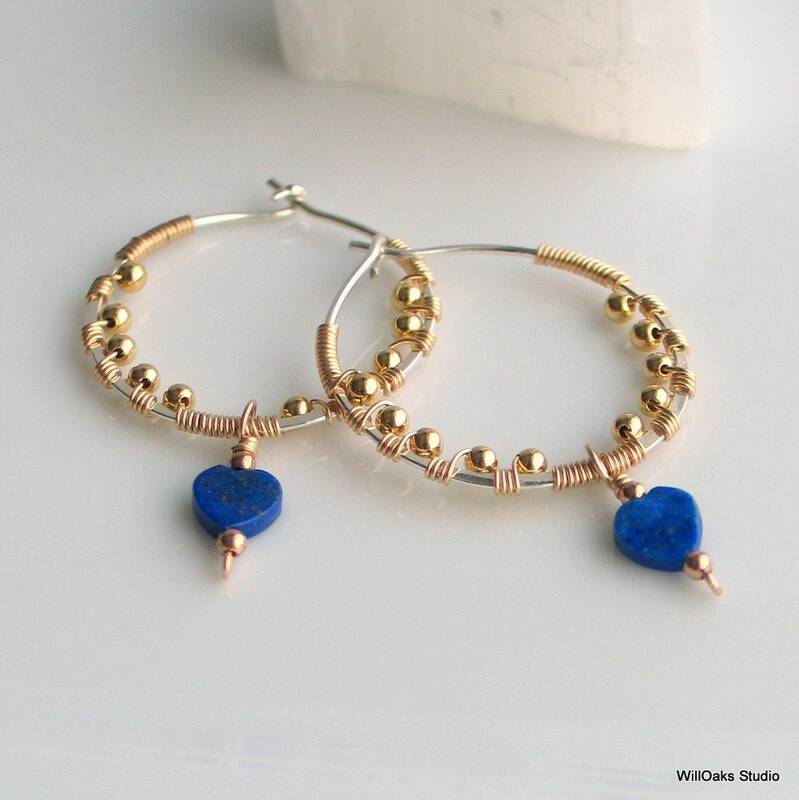 Lapis lazuli, long a beloved naturally blue stone, often has flecks of golden pyrite flitting through it. I fell in love with this stone decades ago, when I learned it had been ground into royal blue oil paints in the Medieval Period, and was used in many of the masterpieces I loved from this period. This shade of blue, like blue jeans, is perfect for heart lovers that want something different from a pink or red heart! I just love the iconic heart shape and although Valentine's day might really emphasize heart shapes--I think they are wonderful just about any time. A limited edition, one pair is made and ready to mail. Packed into my signature gift box, all ready to give! 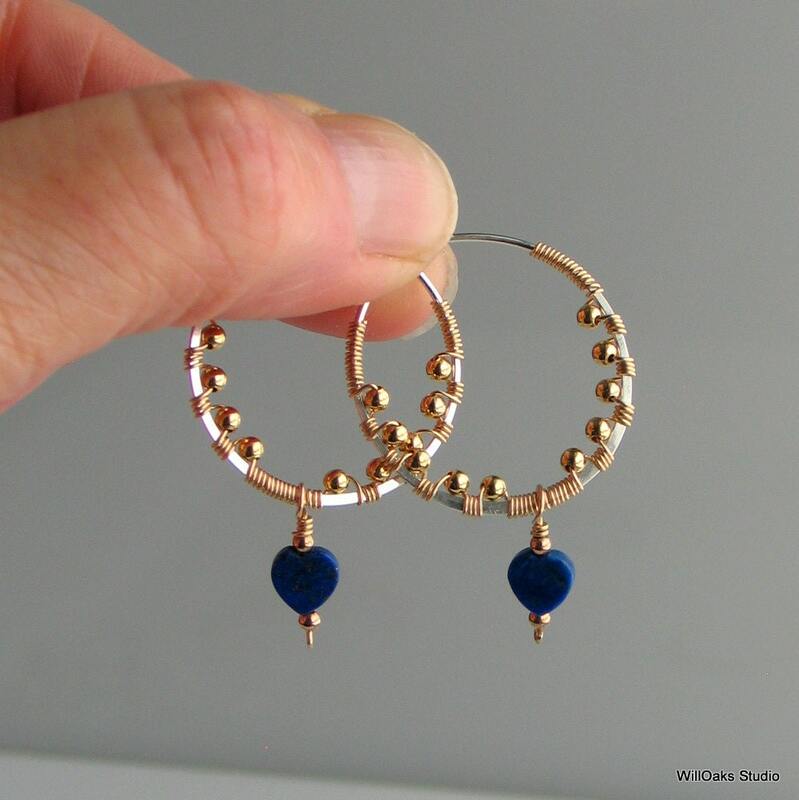 A precious, original pair of earrings to give to someone special or to use and to keep as an heirloom.